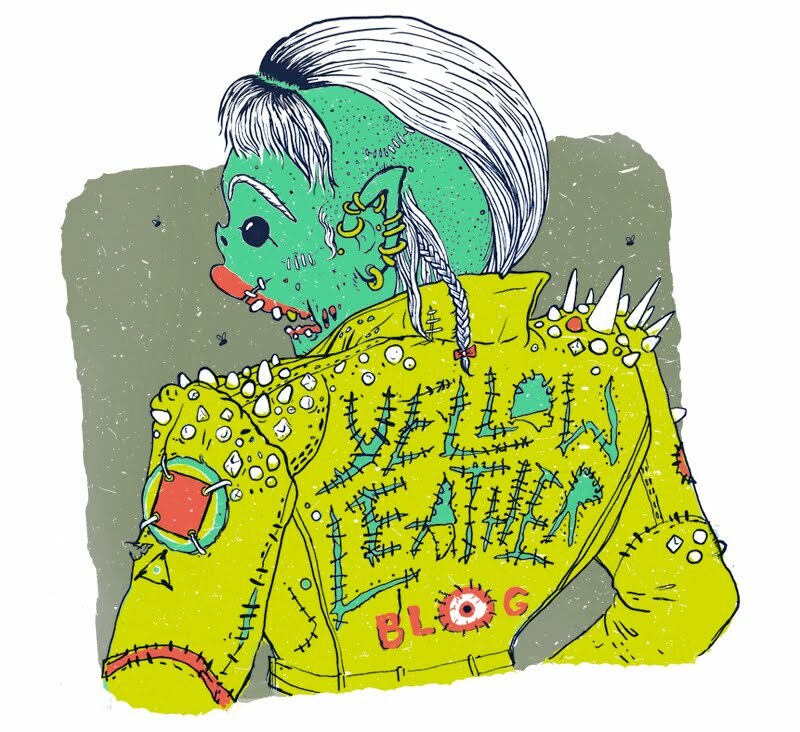 Again flickr ruins my color scheme, the green is not this acidic. But you get the point. 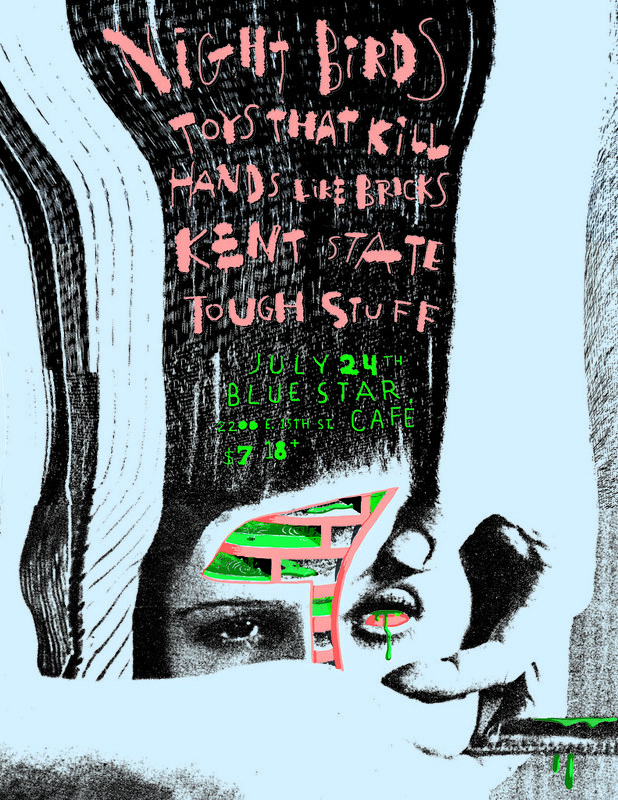 Kent State's first show is on July 24th in Los Angeles, be there or be dumb. 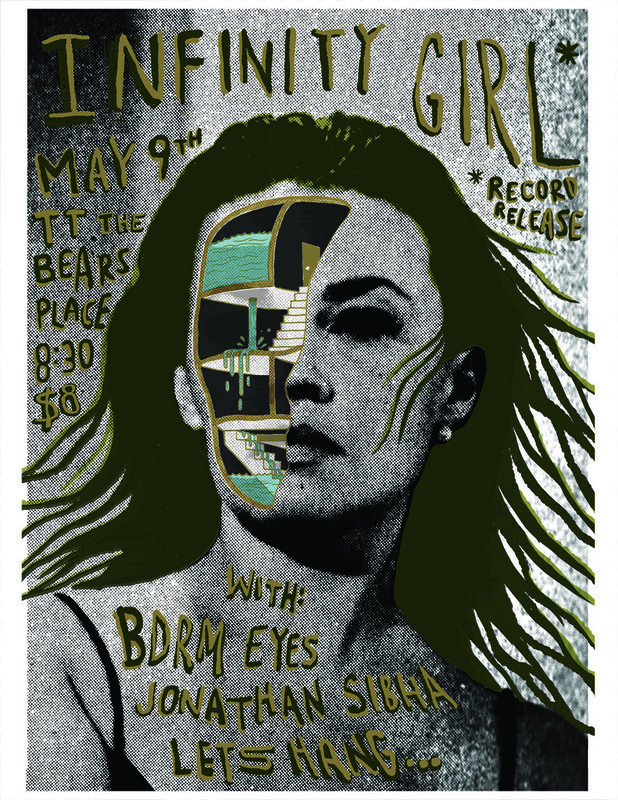 If you are in the area of Cambridge, Mass., go check out Infinity Girl at their record release show! Glad they let me make this weird flyer for them. I'm very pleased to be getting some more requests for band logos lately, after cranking out all those little ditties for Kent State. 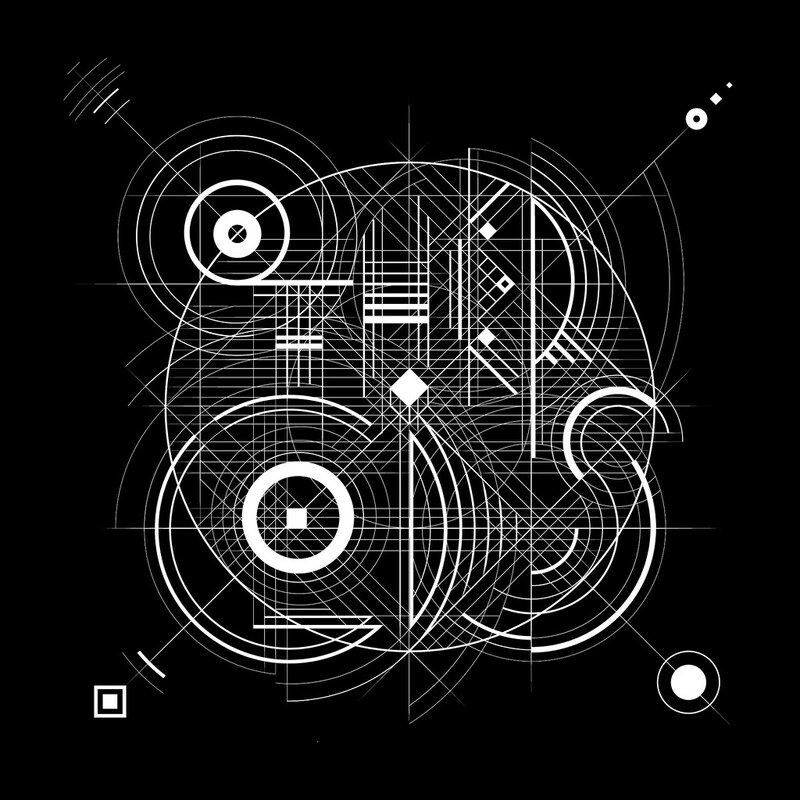 Baltimore metal band Other Gods came to me about getting one of those "tripped out geometry class" style logos, so I did my very best to oblige.